Press releases 2019 - Jakajima, matchmaker for innovators. 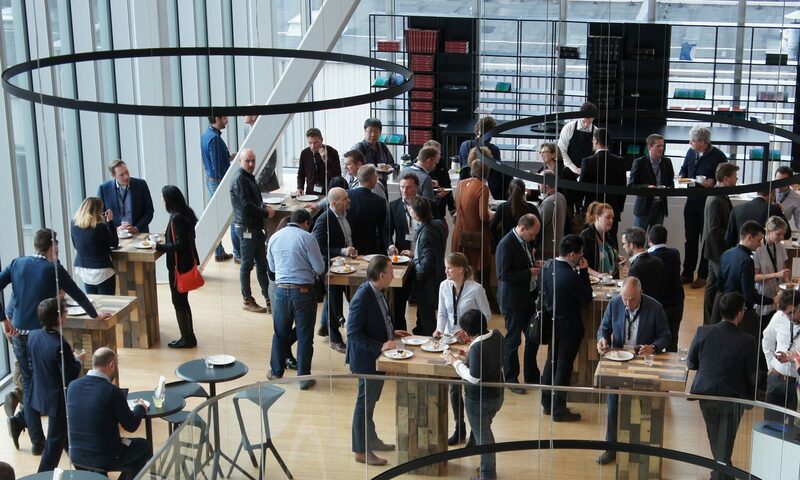 On April 16 and 17, 2019, Brightlands Chemelot Campus in Sittard-Geleen, The Netherlands, will host a two-day 3D Printing Event covering the entire Additive Manufacturing value chain, from 3D Printing design to factory integration and post-processing. The event includes five dedicated conferences, where over 30 speakers from reputed companies, universities and research institutes will share their views, and a two day-expo. On April 16, 3D Printing Materials Conference and 3D Printing Design & Engineering Conference will take place. Speakers from DSM, Viscotec, CEAD, Brightlands Materials Center, Green Pac, Design 8, Quintus Technologies, Flanders Make, cards plm solutions, Sirris and UK National Centre for Additive Manufacturing will talk about the latest developments in 3D printing materials and design for 3D Printing…. Maastricht – On January 30 and 31st, 2019, MECC Maastricht will host a two-day event focused on the latest 3D Printing innovations in medicine. The event will include a conference with dedicated sessions to 3D pharma printing, 3D medtech printing, 3D bioprinting, 3D printing applications in surgery and dentistry, lab tours and demo corners and an exhibition. On January 30, the program includes dedicated sessions on 3D Bioprinting and 3D Dental Printing. Attendees will find out the current status of designing biomaterials for tissue regeneration, custom-made 3D printed dental implants, smart materials for 3D dental printing, bioprinting of tissues and organs & will understand why 3D printing is a must have for the production of certain dental applications. The program of this day will also include a MERLN Institute for Technology-Inspired Regenerative Medicine Lab Tour…. Rotterdam – The 10th edition of the Intelligent Sensor Networks Conference will take place on January 18, 2019, during Infratech 2019 and TUS Expo, at Rotterdam AHOY, in Rotterdam, The Netherlands. This edition will focus on sensor networks for smart industry and smart maintenance. The complete program of the half-day conference features eight speakers in total and will include duo presentations supplier/customer. Eindhoven – On January 22, 2019, internationally renowned specialists will gather at High Tech Campus Eindhoven to discuss the latest technological developments in 3D Printing Electronics. The program features ten internationally renowned speakers from Mitsubishi Engineering Plastics, NANO Dimension, Fraunhofer IFAM, Holst Centre, Institute of Systems and Robotics, Portugal, Neotech AMT, TNO – AMSYSTEMS, Metafas, DoMicro BV and Fontys University of Applied Sciences who will share their knowledge and expertise on a variety of topics related to 3D Printing Electronics.